The coaching carousel continues this Serie A season and another notable manager of a big team has been sacked. Walter Zenga was released from his contract with Palermo following a mediocre start to the year in which the club is currently in twelfth place. Last weekend the club managed a draw against Catania and that would be the end of Zenga’s reign as coach of the Italian squad. Within 24 hours Palermo announced their replacement Delio Rossi. 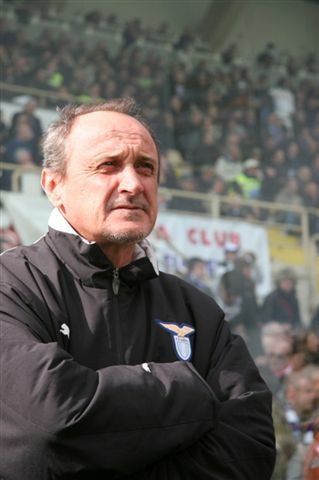 Rossi last coached in 2008-2009 when he steered Italian squad Lazio to a solid record and the new coach is under contract until 2011. But Rossi should not be too comfortable in his new position. Since 2002 Palermo has had twelve different coaches making it likely that Rossi may not be able to even finish the year as the manager of the squad with great expectations. I still have to evaluate the squad. I think this team can have an important role but we will have to wait and see what that is. On the pitch will be where this is judged. Actions speak louder than words and we have to prove our worth on the pitch. But I am not selling promises. I am not an agent. The Italian powerhouse squad travels to Chievo Verona this weekend in the new manager’s first chance to see his new team perform. Palermo is usually a top eight squad by season’s end and I am sure Rossi expects the squad to be in that position by the end of the season.